No, it’s not time for breakfast. Waffles and Pancakes are two hamsters. They’re friends in the pet shop and are sold to two different boys on the same day. One goes home to a life of luxury, the other to an old box. When the boys, who are friends too, get together to play, the hamsters are reunited. It’s then that both hamsters and boys learn valuable life lessons. 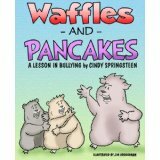 Waffles and Pancakes is a delightful way to teach children about love and relationships. 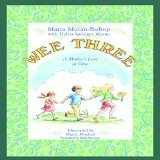 This colorful, beautifully illustrated book, speaks about the importance of love over possessions. It’s not what you have in your life, it’s who you have. Joshua is a lonely child. With only his imagination to keep him company, he invents epic adventures in his mind. He leads armies and builds magnificent tumbleweed forts in his desert home. When a trip to his fort goes awry due to a dust storm, Joshua’s adventure really begins. As he huddles in his fort, he is rescued by a mysterious girl named Zeleen. She takes him on an even more amazing adventure than those of his own making. Many of the events depicted in the novel came from Ferry’s own life. By his own admission, he is Joshua. Ferry is the son of an Air Force test pilot, as is Joshua. Though Joshua’s description of his father’s job is much more elegant and majestic. He calls him a “knight of the sky” – his plane is a “thundering airship”. 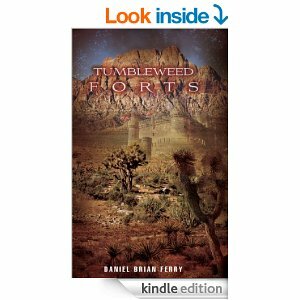 Daniel Ferry’s novel, “Tumbleweed Forts”, is a fantasy as fascinating and magical as the desert itself. The reader is drawn into the world of Joshua’s imagination, seeing the wonders through his eyes. We go with him as he journeys with Zaleen. Intended for middle grades and up, “Tumbleweed Forts” is a must read for anyone who loves a good fantasy/ adventure. There’s something in the Whispering Willows. Andy, Stewart and Zach are sure it’s a ghost. Amateur ghost hunters, they set up equipment hoping to get pictures and videos of the elusive spirit. Finally, luck is with them and they see a boy about their age, obviously a ghost. Imagine their surprise when Ally, Kendall, Maggie and Krista quietly announce that they’ve seen a ghost too, only their ghost is a little girl! Together, the children figure out how to contact the ghosts and find out their story. This well crafted ghost story is intended for middle range YA readers, but has enough mild chills for older readers too. Even I got a tingle when the ghost first appears and talks to the children. It’s not too spooky for timid readers and is a great adventure tale too. 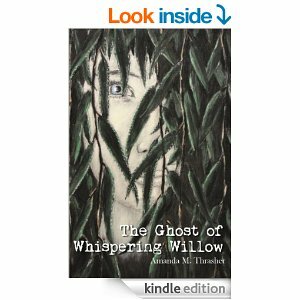 The Ghost of Whispering Willow is a story of love, mystery, family and friendship. Readers enjoy the ride as the children do their best to help Elias, the ghost, and his little sister, Margaret-Rose. Who knew ghosts even need help? But they do and it’s a dangerous situation for all involved. The characters in novel are wonderfully crafted preteens who are very lifelike in their speech and actions. Thrasher captures their courage and naivete well. The ghosts are also incredibly well delineated. They sound as if they are from a different time. Even though they’ve existed through the years, their thoughts and perceptions are those of less modern people. I really enjoyed The Ghost of Whispering Willow and I highly recommend it to anyone who likes a good, well crafted, warmhearted, exciting ghost story. I love Marsha Casper Cook’s books. They are wonderful fun for children, but enjoyable for adults too. 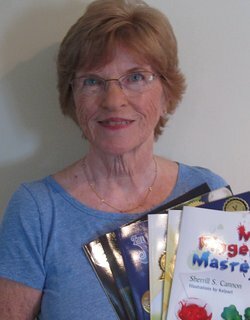 Below, I have reviewed two of Marsha’s marvelous books. Addison Apple hates oatmeal, but that’s what his mother gives him every morning for breakfast. His dog, Sammie, loves it and looks forward to Addison “sharing” it with him every day. Since this means Addison is still hungry, he usually finds some sort of snack to eat on the sly. After the chocolate cookie incident one morning, Addison’s mother tries a new approach. She decides to let him pick his own meals. After a feast of snacks, will Addison decide he likes oatmeal after all? “Snack Attack” is a fun, creative look at nutrition that shows children eating well is a matter of making the right choices. It sends its message without preaching to its audience. This is a charming book for children to read alone or with an adult. It will fast become a family favorite. Emelina likes to chatter. She also likes to solve crime. When she and Addison have the chance to go to detective school, she hops in excitedly. Even before they’re done with the course, they get their first crime. Shoes are missing, but there are no clues to help our two detectives pursue the possible perpetrator. Can Emelina and Addison solve this uncanny crime? Meghan Rose is a first grader who learns first hand the power of words – both good and bad. This scripture based lesson is a wonderful lighthearted story that illustrates for children how important it is not to use the power of your words to hurt. The story doesn’t preach to its audience, instead it teaches us how important it is to treat others fairly, especially those we love. At the end of this easy chapter book, the author has a variety of activities that could be used at home or in a religious education classroom. 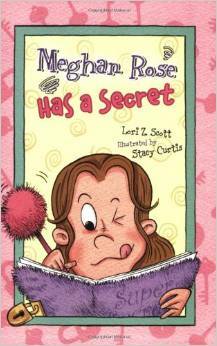 I loved the warmth and sincerity of “Meghan Rose Has a Secret”. The characters are engaging, the story compelling—even for an adult. This is a wonderful, non-traditional way to teach children to be kind to one another.